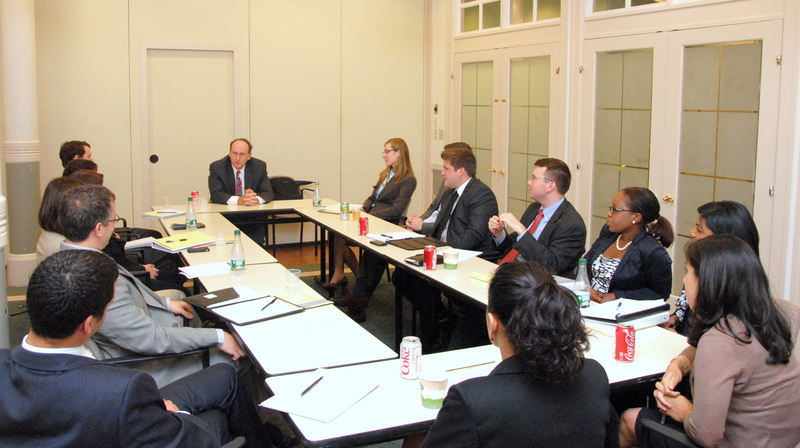 Justice Gants of the Supreme Judicial Court sits for a conversation with the 2012 PILP class. The Public Interest Leadership Program (PILP) class of 2012-2013 is underway. As one of fourteen PILPers, I have already deepened my understanding of how the Boston Bar Association (BBA) functions and heard directly from public interest leaders about what qualities strong leaders possess. The explicit goal of the restructured program is for PILP participants to meet leaders in the public service landscape, contribute significantly to the pro bono / public interest work in Boston, and create a pathway to leadership within the BBA. Since our PILP class kicked off on May 10, we have met with leaders from the Volunteer Lawyers Project, Greater Boston Legal Services, Delivery of Legal Services Section, and Bankruptcy Pro Bono Committee. On Tuesday, June 26 Justice Ralph Gants of the Supreme Judicial Court graciously met with the PILP class to discuss his work with the Massachusetts Access to Justice Commission. Purely as a hypothetical, Justice Gants asked us to imagine something he later explained was too outlandish for real world consideration: a world with a concierge judiciary akin to concierge medicine. Concierge litigants would pay a higher court filing fee in exchange for a judge that could devote more time to the case and likely render a decision on the matter in a shorter time frame as compared with the current court system. Those higher filing fees, according to the hypothetical, would be funneled directly to the presently underfunded judiciary. While the PILPers were not in universal agreement as to whether the detriments outweighed the merits of this hypothetical concierge judiciary, there was universal agreement about the need for additional financial resources to protect the integrity of the justice system. At present, there are vast numbers of low income individuals and groups in need of legal advice and representation who cannot gain access to counsel. During this time of increasing requests for legal services and representation and decreasing budgets for legal service organizations, public defenders, and prosecutors, there are vast opportunities for attorneys to offer pro bono assistance. Justice Gants suggested that the types of conflicts where there is the greatest need for pro bono assistance include litigants in child custody, support, and alimony cases, eviction and related housing proceedings, bankruptcy filings, immigration proceedings and domestic violence survivors seeking restraining orders. 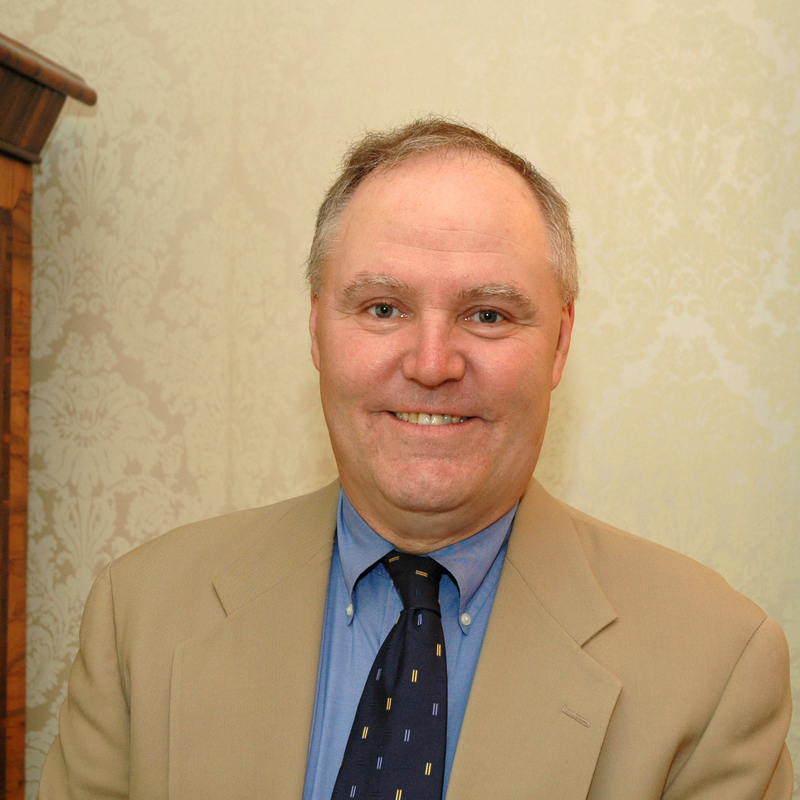 While Justice Gants admits that actual and perceived conflicts of interest will continue to hinder attorney pro bono representation for many employed attorneys, he noted that rigorous case screening, access to fillable and multilingual court forms, limited assistance representation, and guidance documents dictating law may help to overcome some of the conflict barriers. The PILPers have seemingly started a tradition by asking every visitor to PILP gatherings to provide their input on unmet legal needs. Our list of ideas about where public interest work could most benefit the needs of the Commonwealth’s low income and otherwise underserved residents is growing. We will continue collecting ideas from public interest leaders and begin developing one or more public interest projects in late summer. I am grateful for the PILP opportunity, motivated by the like-minded public interest spirit of my colleagues, and look forward to collectively improving access to justice and narrowing the gap of unmet legal needs in Boston. Next week, the Boston Bar Association’s Summer Jobs Program — a key diversity and inclusion pipeline initiative — will kick off with coffee, muffins and remarks from Mayor Thomas M. Menino and Chief Justice Roderick L. Ireland. The Program, which began in 1993 with just 16 students from Boston’s public high school, will welcome a record-breaking 55 students this year. The program allows law firms, law offices, and legal departments to invest in the future of our city – by drawing upon the talents of an ethnically and racially diverse group of teens from Boston’s neighborhoods. The Summer Jobs Program is not simply an employment opportunity for students, but an enrichment experience – with a strong focus on education. Students in the program attend weekly seminars on rights and responsibilities in the workplace, civic responsibility, and the judicial system. Students will also participate in the M. Ellen Carpenter Financial Literacy Program, a joint venture of the BBA and the U.S. Bankruptcy Court for the District of Massachusetts. Led by seasoned bankruptcy attorneys, the financial literacy training focuses on personal finance and budgeting, using credit, and financing a car. The finale is held at the U.S. Bankruptcy Court, where students participate in a mock bankruptcy hearing and have the opportunity to speak with a Bankruptcy Judge. Other educational events lined up for the students include a mock City Council hearing to be led by former City Council President, Lawrence S. DiCara at Boston City Hall, a tour of the Adams Courthouse and Supreme Judicial Court, and sessions on the legal implications of file-sharing, and understanding the college admissions process. Beyond the Billable reached out to Anthony Betances, a 2011 participant to find out what he thought about the enrichment program. My favorite seminar took place at the U.S. Bankruptcy Court. The reason it was my favorite was because it put into practice many of the things that we had already heard about in the past seminars. We already knew that irresponsible spending could carry serious consequences, and we had been given some information on bankruptcy, but the unfolding of the process in front of our very own eyes had more of an impact. All of a sudden, someone spending $40,000 or so but getting hit with more than $80,000 in fees and interest became more real, as did the possibility of buying a car and getting into more debt than that new car is even worth. It really just showed how ridiculous and reckless things can get if you’re not proactive about, and conscious of, your financial life. The Summer Jobs Program is a longstanding collaboration of the Boston Bar Association, the City of Boston, and the Boston Private Industry Council (PIC). The students are high school rising juniors, seniors and college freshmen, with some work and volunteer experience. All participants completed an application, provided at least two letters of recommendation, and submitted an essay explaining why they want to participate in this program. The students are high-achievers with their eyes set on college. For many of the students, this program will be their first exposure to law as a profession. Through generous funding from the Boston Bar Foundation’s M. Ellen Carpenter Fund and the Austin P. Jones Fund, 10 students will hold positions in legal services agencies, government and court offices. All of the enrichment seminars are led by BBA volunteers. Lisa Goodheart, President of the BBA with Mayor Thomas M. Menino at the 2012 Mayor’s Youth Council Reception at Northeastern University. Beyond the Billable recently attended a reception at Mayor Menino’s 2012 reception for the Mayor’s Youth Council (MYC). Over the years the BBA has provided mentors for this initiative, and we chatted with two of them to find out how they feel about donating their time to the MYC. Here’s what we learned. The BBA first became involved in what would become the Mayor’s Youth Council in 1990 through its predecessor, the Mayor’s Youth Leadership Corps. The Corps represented a public-private partnership among the City of Boston, the BBA and Northeastern University. The aim of the program was multifold – to show Boston youth how the city and its’ many institutions worked, to develop leadership, encourage community service and promote personal growth in today’s young people. The foundations of the MYC reside firmly in roots of the Mayor’s Youth Leadership Corps. Since 1994, the BBA has been proud to provide the MYC with lawyer-mentors. In addition to attending bi-monthly meetings at Boston City Hall, the mentors guide students through their program goals and help develop their skills in a variety of different capacities – including executing and leading meetings. Here at Beyond the Billable, we wanted to find out from our mentors what it means to give their time to the MYC. Tonight, I begin my 8th year as a BBA mentor for the MYC. I participate because I support the BBA’s focus on helping Boston’s kids. Also, I like to think that my service honors the men and women who mentored me at a time when a professional career was anything but a certainty. Our role as BBA mentors has numerous facets. Each year, the MYC representatives identify an issue or two that are important to their lives as teenagers. e.g., school nutrition, public safety and violence prevention, civility on the “T,” substance abuse, summer jobs, and after-school programs. With the help of the Mayor’s staff, the kids then design a program to learn more about the issues and to share what they’ve learned by “outreach” to their peers at schools, neighborhood libraries, and recreation centers. The mentors assist the MYC’s planning by steering the discussions to focus on the specific issue and goal. Sometimes, we ask questions to generate more thinking and discussion while at other times we try to answer questions, especially when the roles of law and government are pertinent. Occasionally, we share an anecdote to illustrate a point. For example, a few kids scoffed at the notion of teens taking a minimum wage or no-pay summer job. I explained that I began working at 16 years old for $1.60 per hour. That employer is now a major client and I believe I was selected as its counsel in part because I had swept the floors. I also related how I volunteered many after-school hours working on a recycling program for my hometown, which in turn was the seed for a lifelong interest and career in environmental law. They now understand that our journeys begin with small steps. 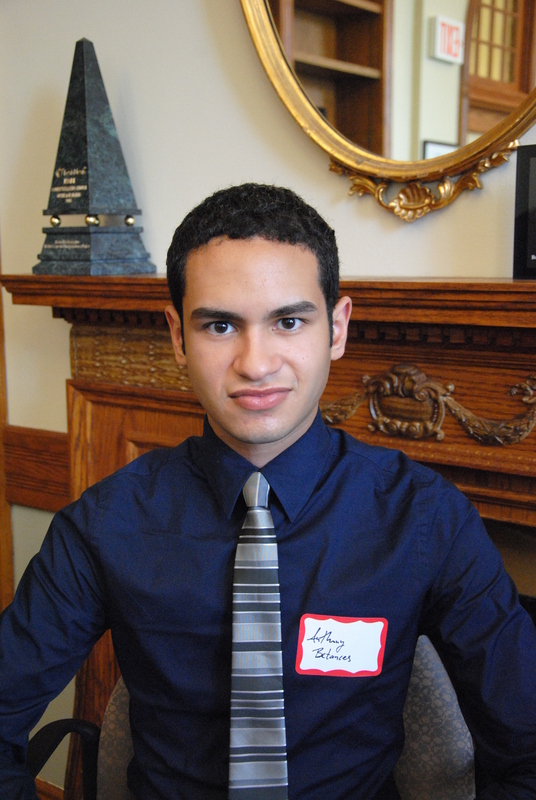 I participate in Mayor’s Youth Council as a means to engage publicly with Boston-area high school students (a portion of the city’s population with which I would otherwise have little interaction) and to be a resource to those students as they embark upon their college years and begin to think about what they want to do with their lives. The Mayor’s Youth Council has a lot in common with the BBA’s Public Interest Leadership Program. It is a year-long program made up of members selected after a competitive application process. The key goals of Mayor’s Youth Council are to foster leadership among its members and to serve as a vehicle for outreach to the larger community of high school students in Boston. In addition to attending regular meetings, MYC members are involved in planning and carrying out a limited number of projects through the year (for example, this year, the Council conducted a resume workshop). Being a mentor is a rewarding and low-stress activity that involves attending the bi-monthly Council meetings at City Hall and facilitating debate and discussion among Council members regarding issues affecting youth in the City of Boston. Outside of regularly-scheduled meetings, mentors are often involved in facilitating the Council’s special projects. This year, I attended the resume-writing workshop with another BBA volunteer and provided tips and feedback to high school students preparing resumes for summer jobs and college admissions. The MYC consists of 36 students selected to represent their neighborhoods as volunteers on this citywide board. Many of these young leaders are selected to participate in the BBA Summer Jobs Program. Each class of the Council establishes an annual program agenda and works to meet these goals throughout the year. The 2011-2012 MYC class focused on issues of education, health, youth development, neighborhood safety, environment and communications. They held meetings with community leaders including the Executive Director of the Boston Youth Fund to discuss Boston’s teen job strategy and a representative from the Boston Police Department to address concerns regarding healthy and positive youth and police partnerships. Imagine that you are a high school student again. You have nearly completed your sophomore, junior or senior year. You are a student in one of the 28 high schools in Boston. You might be a freshly minted graduate, ready to enter college in the fall. You come from one of the 21 diverse Boston neighborhoods. In addition to English, you may speak Spanish, Vietnamese, Haitian Creole, Chinese or one of the 77 home languages spoken by Boston Public Schools students. 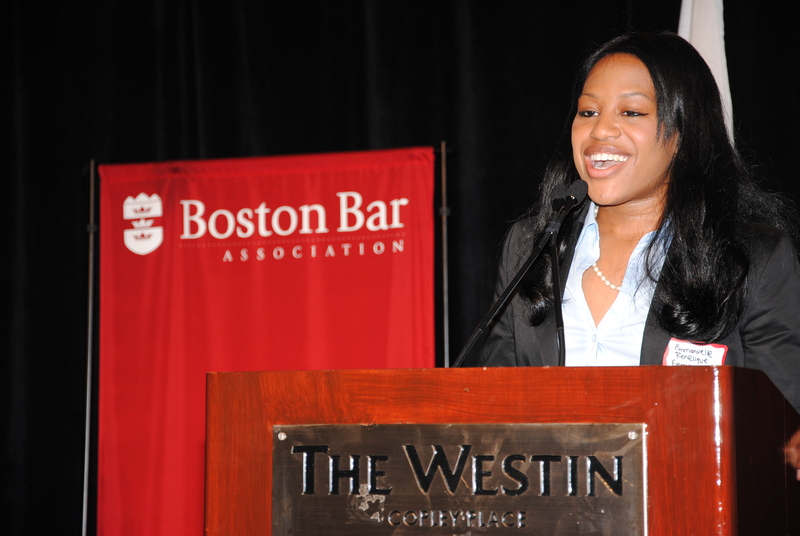 You decide to apply and are accepted to the Boston Bar Association’s Summer Jobs Program. Since 1993, the BBA has introduced over 300 young adults to the legal profession. This year, the Program will provide 56 students with positions in area law firms, legal offices, government and legal services agencies. This represents a record-breaking number of participants. Summer Jobs interns represent a motivated and high-achieving group of students in Boston. As we enter the 19th year of the Program, Beyond the Billable wanted to reach out to some of Program alumni – to find out where they are now, how they got there and what their experiences as Summer Jobs interns meant for them. These are their stories. I grew up in Dorchester. I attended John D. O’Bryant High School in Roxbury and Regis College in Weston. After graduating from college, I worked at WGBH for three years. 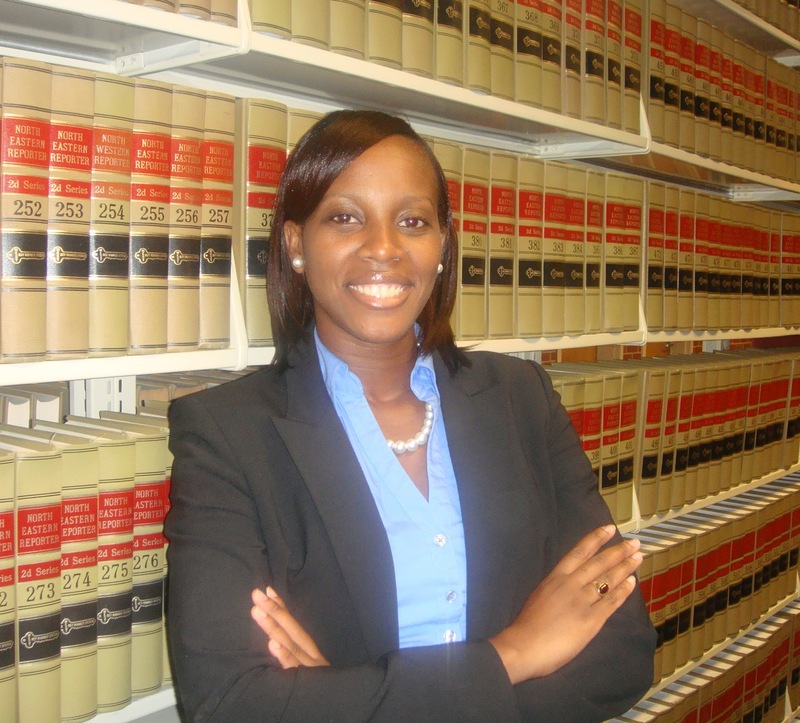 Becoming an attorney was always a dream of mine, so I decided to pursue my dreams and entered North Carolina Central University School of Law, located in Durham, NC, in the fall of 2008. I graduated law school in May 2011 and passed the NC bar in July 2011. Since graduating from law school, I have been working as a temporary document review contract attorney on various litigation projects, and continue to seek permanent employment. 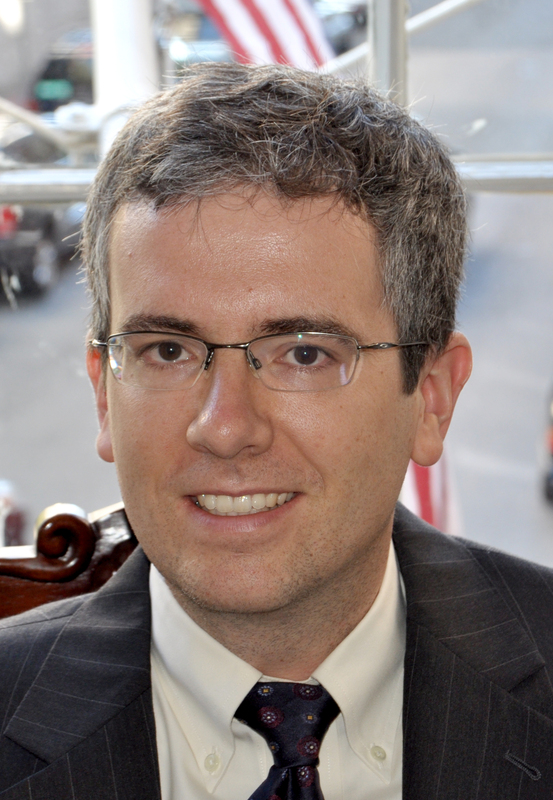 Bingham McCutchen, LLP, formerly Bingham Dana, LLP, was the law firm I interned at in the summer of 1999. The most important thing I learned throughout my internship was how to conduct myself in a professional environment. This was my first exposure to the corporate world, as it is for many of the students who participate in the Program, and it laid a solid foundation that I have built on over the past few years. While in college, I was an Inroads intern for three summers (interned at Blue Cross Blue Shield of MA and Fidelity Investments for two summers) and I felt like I was a few steps ahead of some of my colleagues because of my experience as a BBA Summer Intern. My favorite memory from the Program was being selected as the female student to give a speech at the end of summer graduation. I felt very honored and was very nervous at the same time, but it was a great learning experience for me and gave me the opportunity to work on my public speaking skills. I still have the picture I took with Mayor Menino and the male student speaker. It is a good reminder of how far I have come. There are many benefits to having a teen in the office. However, in my opinion, the most important benefit is an opportunity for attorneys and their staff to give back to the community by mentoring teens in the community through the BBA Summer Program both directly and indirectly. Giving back to the community is extremely important because positively influencing the lives of teens assist in creating well-rounded adults, and the next generation of professionals. My experience as a BBA Summer Intern helped me to become an even more diligent student. I admired the attorneys throughout my summer internship and was inspired by their accomplishments, which made me work even harder. One of my goals was to be in their shoes one day, to become a successful attorney, and I continue to persistently work towards that goal. My name is Chioma Akukwe. 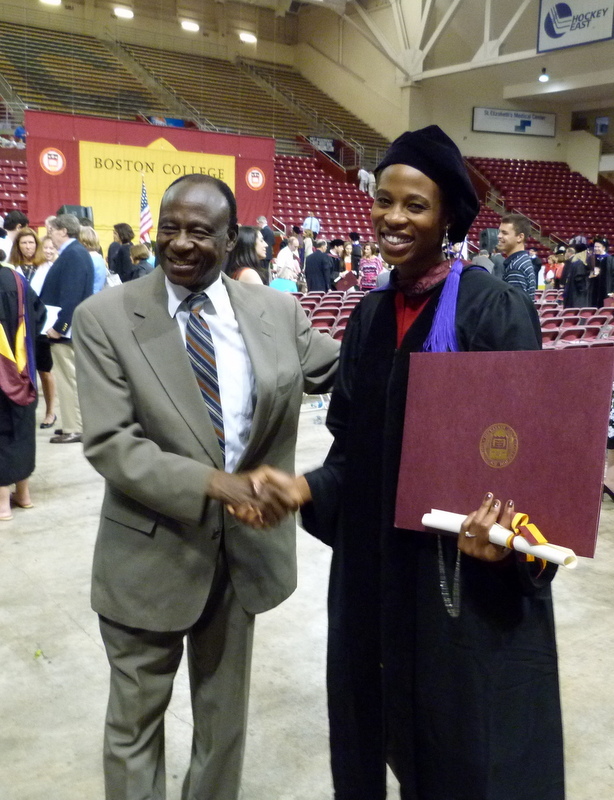 I recently graduated from Boston College Law School this May, and hope to practice as a litigator here in MA. As a Brighton High School student, I avoided destructive behavior common among inner city youth because of the outreach programs led by lawyers and judges of the Commonwealth. It all started with the BBA Summer Jobs Program. During my sophomore year in high school, I participated in the Boston Bar Association (BBA) Summer Jobs Program, where I was introduced to the legal profession and the idea of law school as an attainable and attractive goal. While at the BBA Summer Jobs Program, I interned at Rackemann, Sawyer and Brewster. Thanks to outreach programs like the BBA Summer Jobs Program, I experienced extensive legal-career-related tasks by the young age of 16. I also acquired career role models such as Chief Judge Wolf, who has served as my mentor throughout college and law school. My experience with outreach programs in high school played a critical role in my ultimate decision to go to law school. I attribute my success at the College of the Holy Cross and Boston College Law School to the public interest lawyers who were determined to make a difference by introducing disadvantaged Boston youth to the inner workings of the justice system. After my 1L year, I interned at Microloan Foundation (MLF), an organization that helps disenfranchised African women provide basic necessities for their families by giving them small loans to start businesses. I participated in the Boston College Law School’s London Semester Externship Program during the second semester of my 2L year. The externship part of my semester in London took place at Freshfields Bruckhaus Deringer LLP, a large firm in London. When I returned from London, I spent my 2L summer working for the U.S. Department of Commerce’s Commercial Law Development Program (CLDP). Since my summer with the BBA Program, I have grown to be confident, hard-working, professional and dependable. Having a BBA Summer Program Student at a law firm is not only beneficial to the student, it can also be a rewarding experience for a mentoring attorney. It is a chance to play a positive role in a teenager’s life, and possibly help shape them into a responsible adult. I am a living proof. The most valuable things I learned during my Summer Jobs opportunity with the Boston Bar Association was the importance of good work ethic and the benefits of networking. I was a high school student who had never worked in an office until I started at Ferriter Scobbo & Rodophele. I was challenged to perform important tasks in a fast paced environment and quickly learned how crucial it was to ask questions when I did not understand something. The attorneys and staff were very gracious and appreciative when I asked questions as it demonstrated my enthusiasm as well as good judgment in wanting to complete the task well. I also learned the importance of networking. The working relationships I established through the Boston Bar Summer Jobs resulted in many great mentors and friends. My favorite memories from program were the visiting the various courthouses and attending my first Red Sox game! While Summer Jobs students usually have minimal office experience, they are chosen form a select pool of applicants. Law firms certainly benefit from their zeal and energy. In my opinion and based on my work with other BBA Summer Jobs students, I was able to see the great benefits in having these students exposed to a law office. In addition to the proactive and inquisitive nature of these students, they are also able to seamlessly grasp the technology given the fact that they are “digital natives.” Their creative input could prove to enhance working systems and productivity. The BBA Summer Jobs program definitely affirmed my decision to pursue of a legal career. As an intern, I had first-hand exposure to corporate law firm culture and the working environment. The experience aided me in obtaining other internships while attending the George Washington University. While GWU, presented many internship opportunities to students, I believe my Boston Bar Summer Jobs experience gave me a competitive edge in the applicant pool.